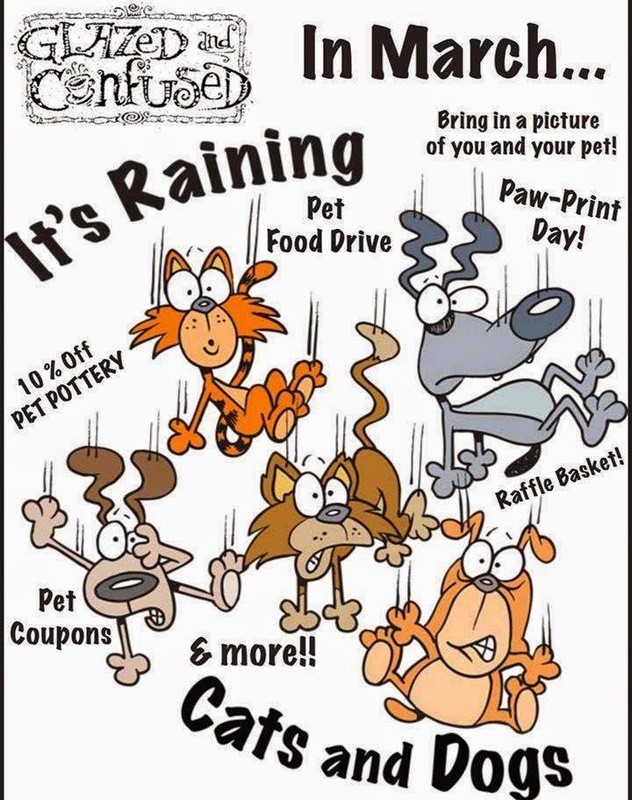 Jefferson County Pet Food Pantry : Glazed and Confused Raffle! The lovely ladies at Glazed and Confused, 4587 Telegraph Rd, St. Louis, MO 63129 (South County) are collecting pet food donations for us through the month of March. They are also, raffling off a magnificent gift basket which the proceeds will be split between Jefferson County Pet Food Pantry, BARC and St. Louis Bulldog Rescue. Raffle Tix are 1 for $1 or 6 for $5. Not only are there some great pottery items but certificates from Rosie's Doggie Day Care, Noah's Ark Vet Clinic and Treats Unleashed. Stop by and see this great store and support local charities! !